Gather round, gather round, it's time for another product review! After last weeks product review that was not so happy, I am proud to present a product review that is for a successful product! 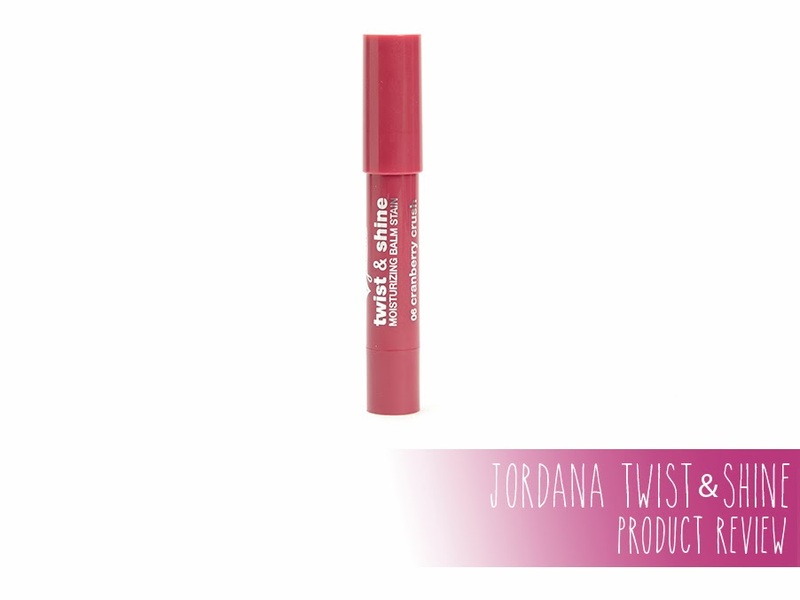 This would be the Jordana Twist & Shine Moisturizing Balm Stain in the shade Cranberry Crush. I haven't talked about my Revlon Balm Stains in quite a while, but this is along the same lines as those... but I'm discovering that they might be better! Wear Time: The wear time needs to be broken down into two categories for this. The glossy/shiny effect that the balm has only lasts for a few hours if you are not eating or drinking. The stain lasts for much longer, probably somewhere around 6 hours? This, however, is not true if you have a dog licking your face for an extended period of time (not that I know this by personal experience or anything). Let's start with the basics for this balm stain. It's made by Jordana which is a very low-cost makeup brand that is found at Walgreens. Their products can be a little hit or miss, but everything that I've bought from them, I've ended up liking pretty well. After a little bit of research, I found out that everything they make is made in the USA and they are cruelty free, which is pretty cool. The packaging is very simple, all one color and plastic witch metallic writing on it. 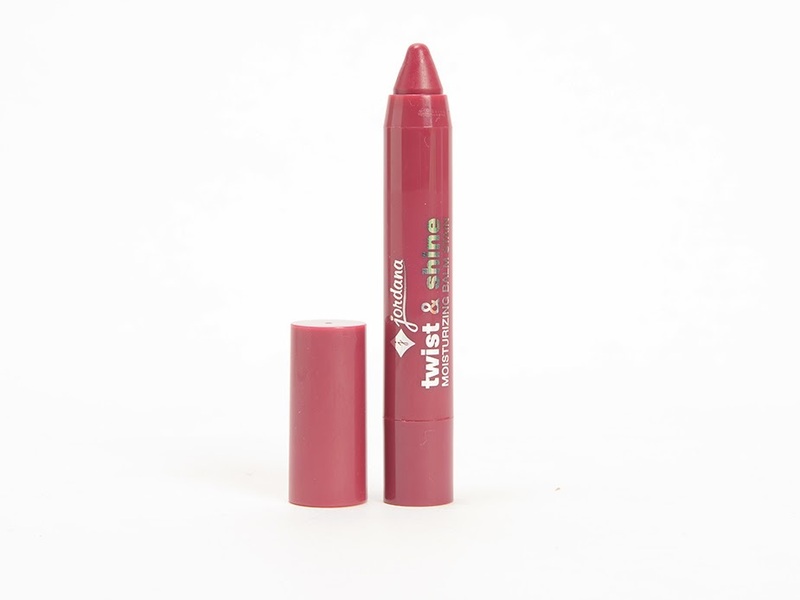 The balm stain is like almost every other brand and twists up from the bottom, eliminating the need for a sharpener. 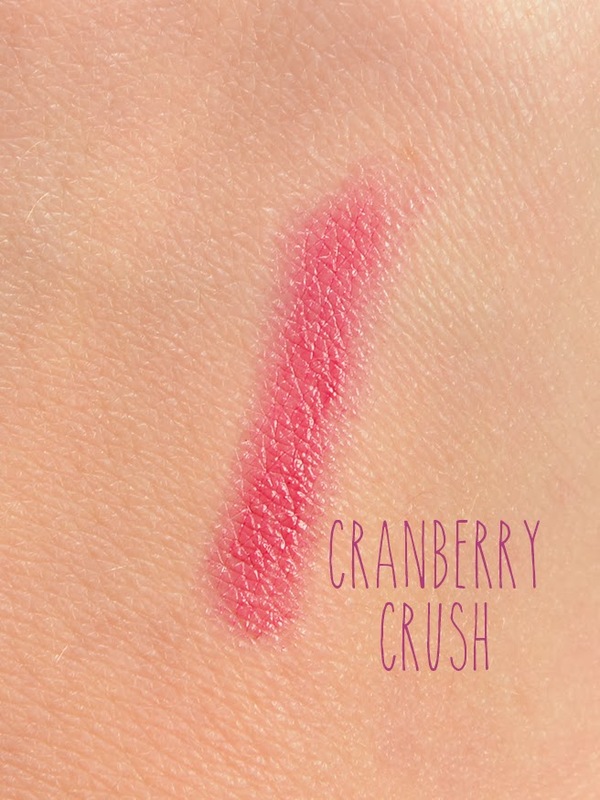 I got Cranberry Crush because I'm a sucker for berry shades, but all of the shades seem to be pretty safe; nothing is extremely pale or extremely bright. I believe that some of the shades contain glitter flecks, but Cranberry Crush does not, which is perfect by me. The color applies very easily and evenly, but I still need a mirror to apply this shade because it's darker than my lips. It sits nicely on the lips for a few hours retaining its shine, but if you are eating, the shine and moisturizing factor are going to disappear pretty quickly. However, that's kind of to be expected from a balm. It does stain your lips for a pretty long period of time. 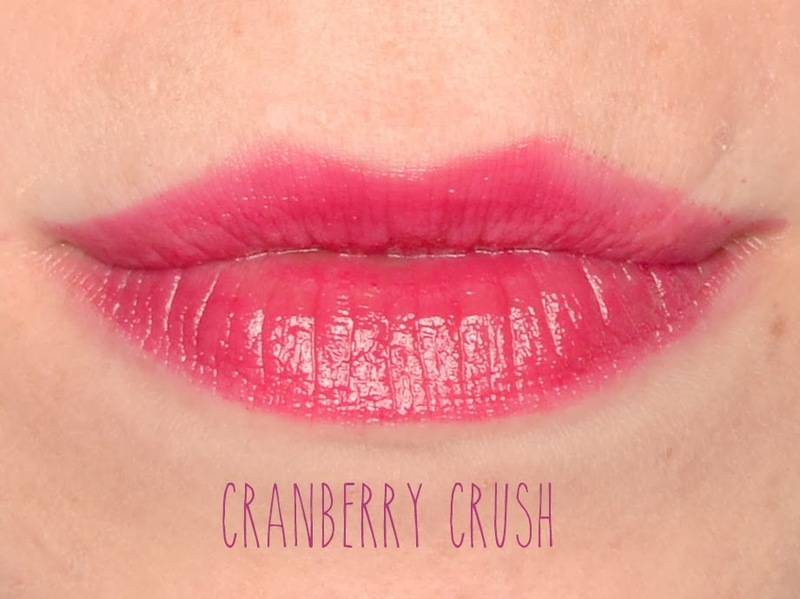 Cranberry Crush leaves behind a light magenta stain, so a bit different than the hue that shows up on your lips directly from the tube. One of the most important factors to me though is that this doesn't dry out my lips. I have applied this when my lips have been chapped and it doesn't make them any more chapped and it doesn't make any flaky skin more noticeable; both wins in my book. Final Verdict: If you love the Revlon Kissable Balm Stains, definitely pick one or a few of these up, they might make you change your mind (and at $2.99 a piece, it's ok if they don't). Great color, moisturizing, and a stain? Pretty much perfect! Thank you so much for reviewing this product! I was looking at them in the store a few days ago and thought that they looked similar to the Revlon Balm Stain - I'll definitely be picking one up to give it a try!